Other options available please contact for details. 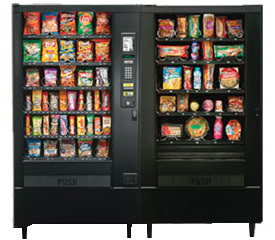 We carry a large array of snacks for our machines ranging from potato chips and candy bars to healthy alternatives . 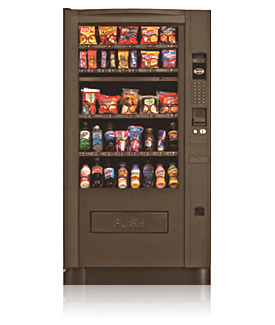 Give us a call and we can customize your machines to your specific needs. Our newest hot and cold bottle-less water cooler has 4 times the storage capacity of our other 2-temp models - 6.3 gallons. Serves busy offices with up to 70 people. Like the PWC-2000 but with larger 4 gallon water storage and high capacity RO for offices or factories with up to 60 people. Hot, Room and Cold water dispenser provides customers with the water they need at the temperature they want. This Hot, Room and Cold water dispenser provides offices of up to 50 people with the water they need at the temperature they want. The reboil function provides steaming hot water for making tea or soup. 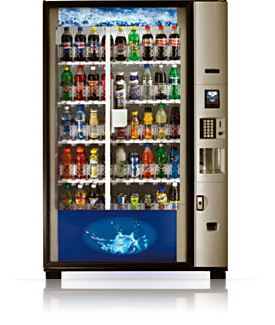 This hot and cold bottle-less water dispenser has the reliable features of our standard PWC-1000 model and serves offices up to 40 people. The stylish design fits into modern offices and comes in two colors: standard executive gray or silver & black option. This Cold and Room temperature model serves offices up to 40 people and is the right choice for public areas or where liability is an issue. Same cooling operation as the PWC-1000 but without the hot water feature. 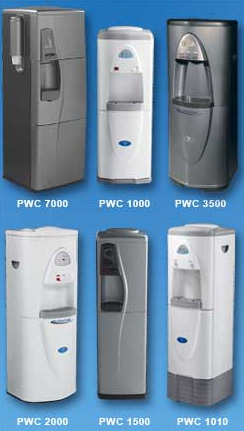 Our most popular model dispenses hot and cold water for offices up to 40 people. 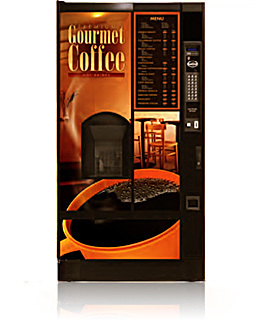 Use in break rooms and small offices where economy and quality are needed. Save even more office space with the refrigerator option.